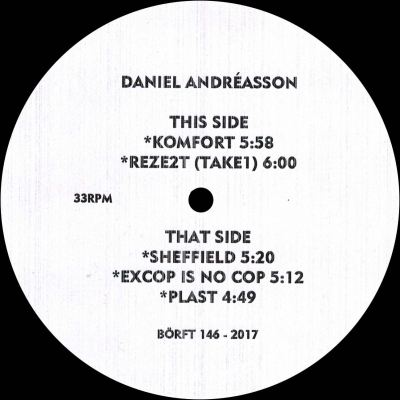 Daniel has several releases out on various labels but on Börft this is his second phaze. This is in your face techno, there is no way of hiding no filters, just raw pure stompy techno! DANIEL ANDREASSON "Bath Trax EP"